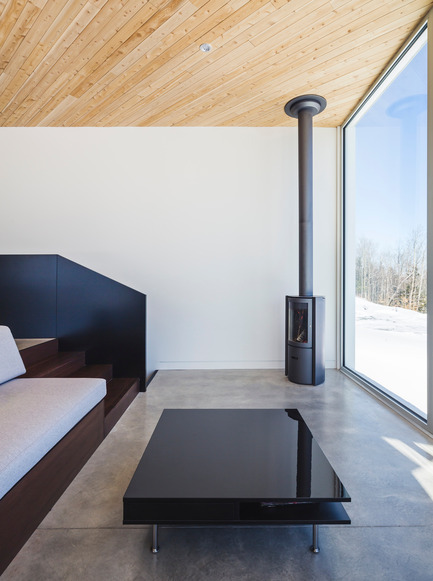 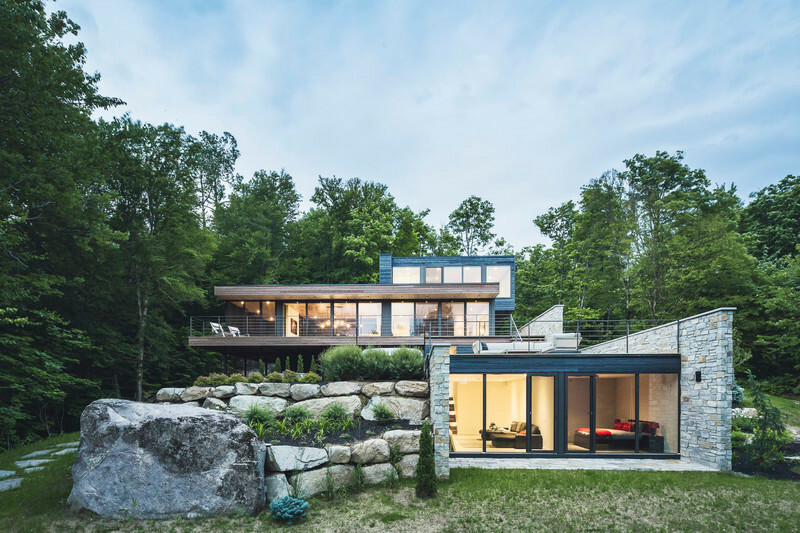 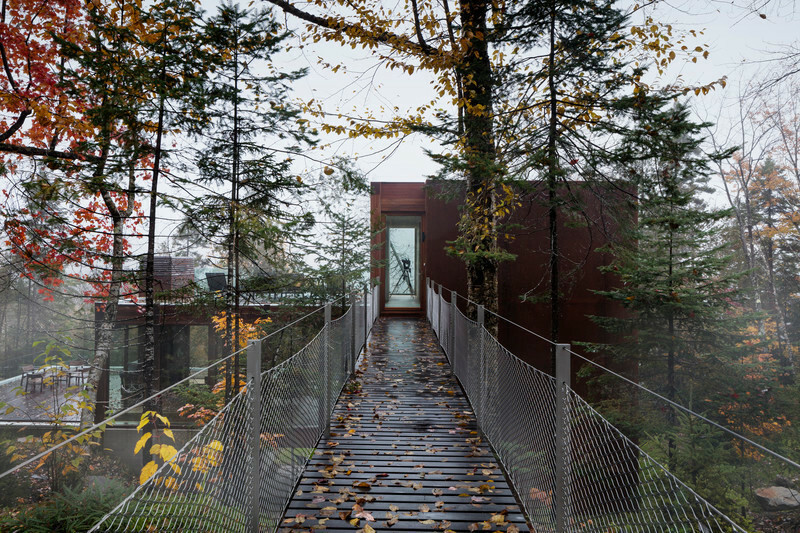 Located in a quiet area of the Eastern Townships in Quebec, the Nook Residence sits in continuity with the landscape in which it is part. 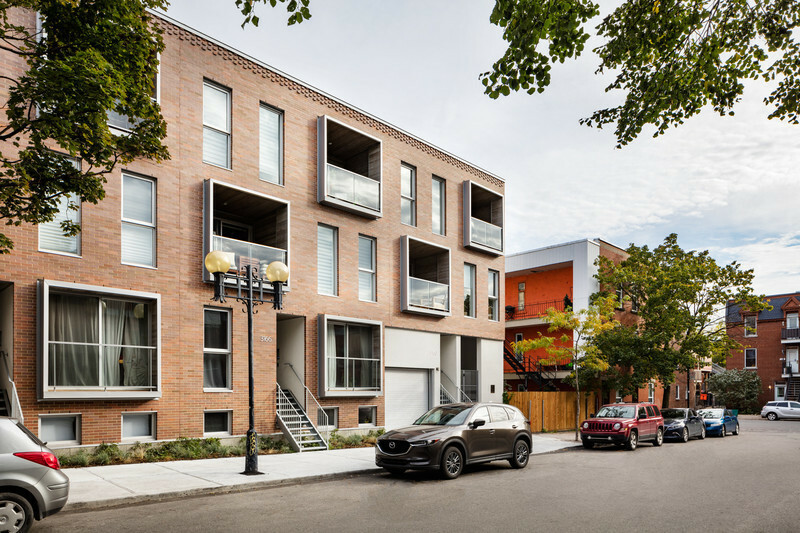 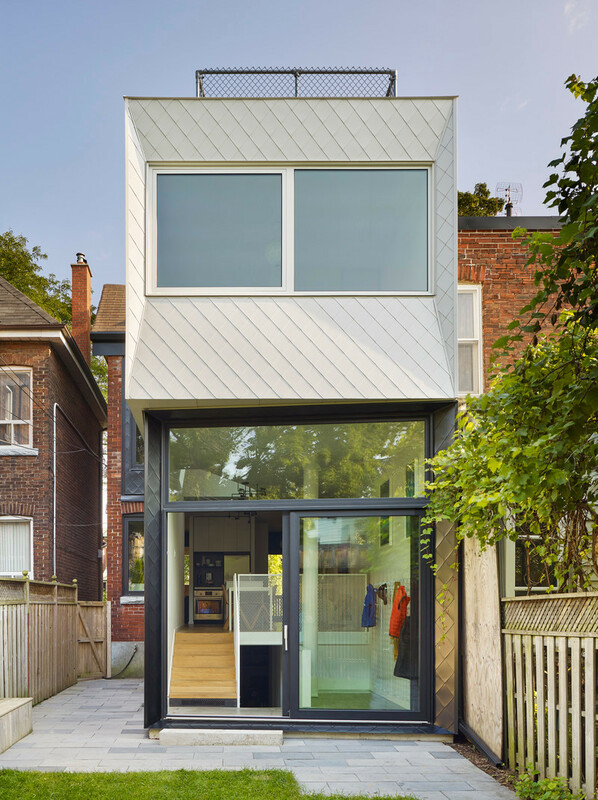 Turning its back to the street, it offers a virtually blind facade that encourages discovery and piques curiosity. 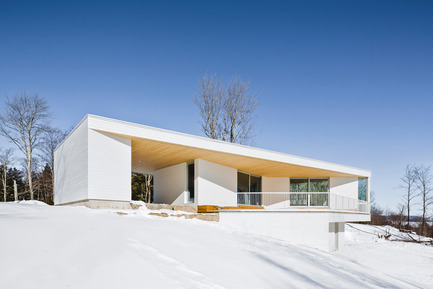 Strategically located openings and a large gap in the white mass give a hint at the beautiful scenery below as we approach the building. 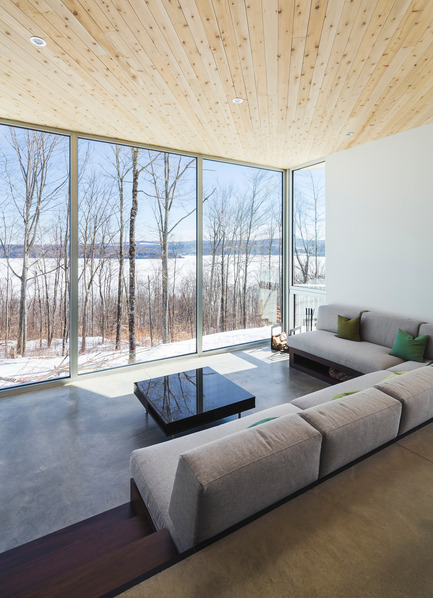 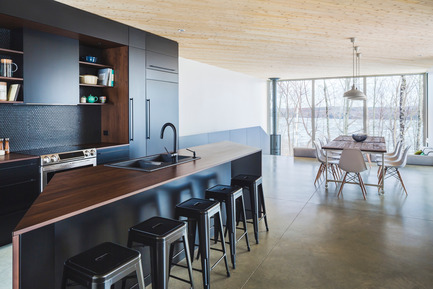 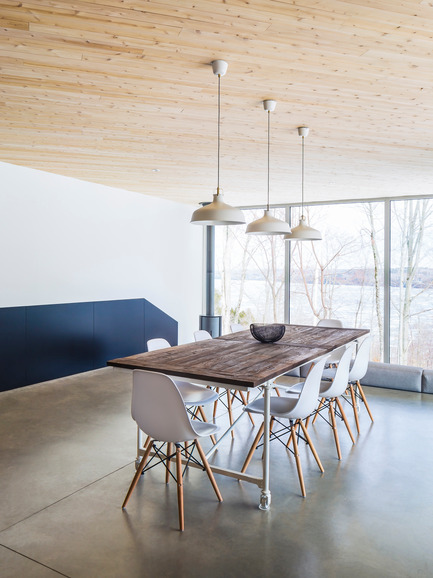 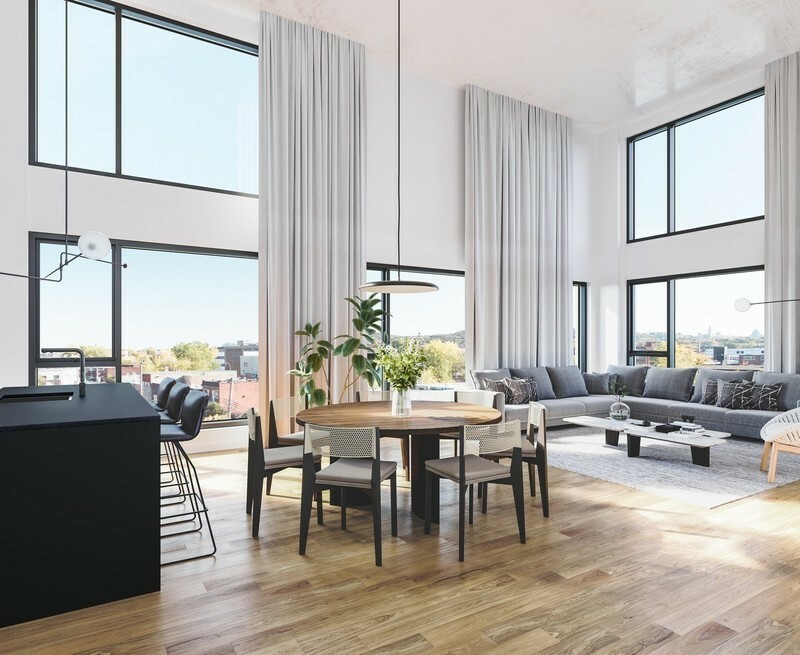 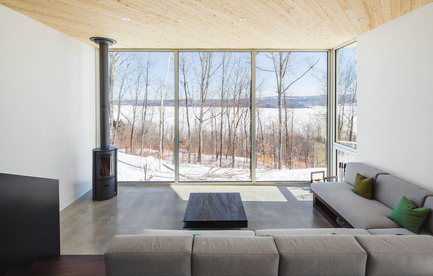 Inside, the clear sequence of open living spaces on the ground floor successively unveils different views of Lake Memphremagog to the visitor. 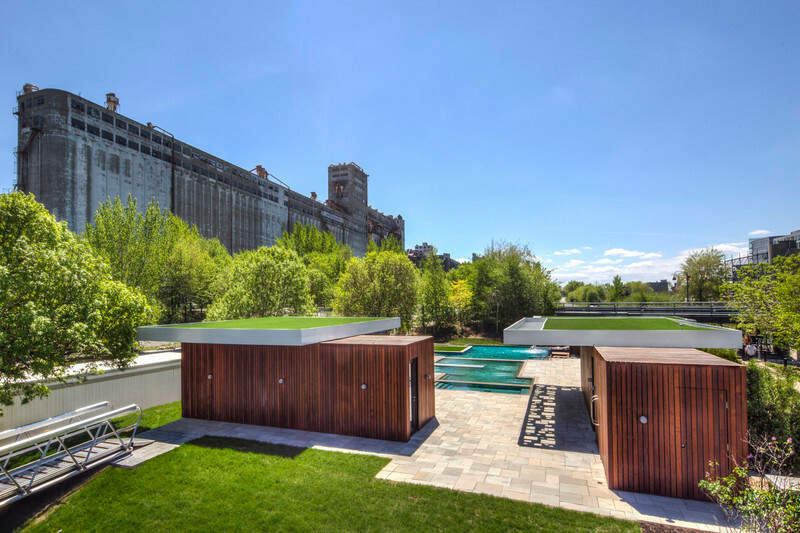 Separating public from private spaces, a relaxation and contemplation area comes in as a pause in the architecture discovery course. 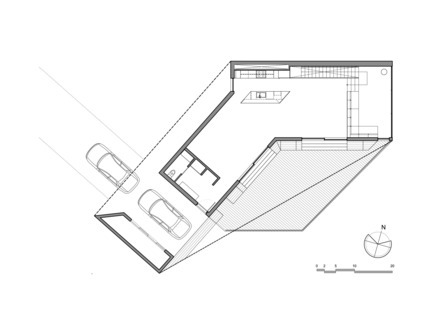 Acting as lounge suspended over the void, this interior balcony between two levels accentuates our appreciation of the site in all its splender. 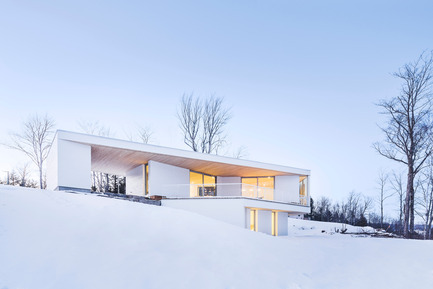 The steep terrain quickly dictated the first project constraints. 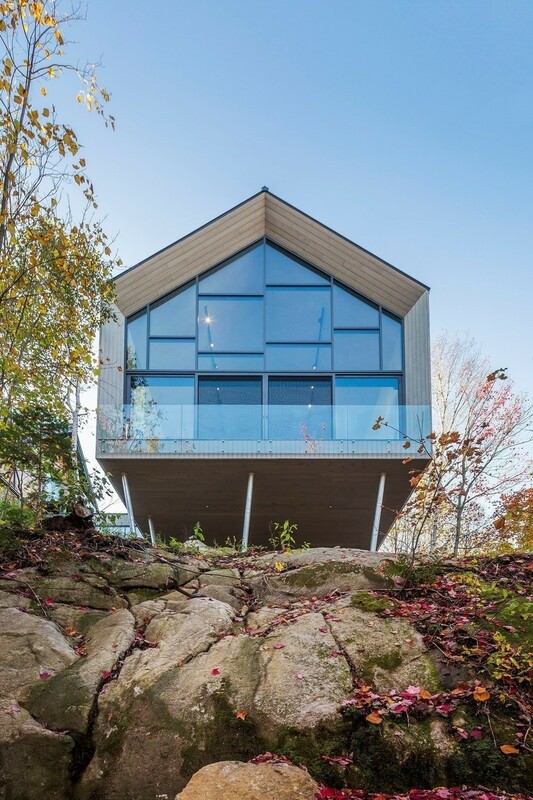 The house clings to the steep terrain and seems to be projecting toward the Lake. 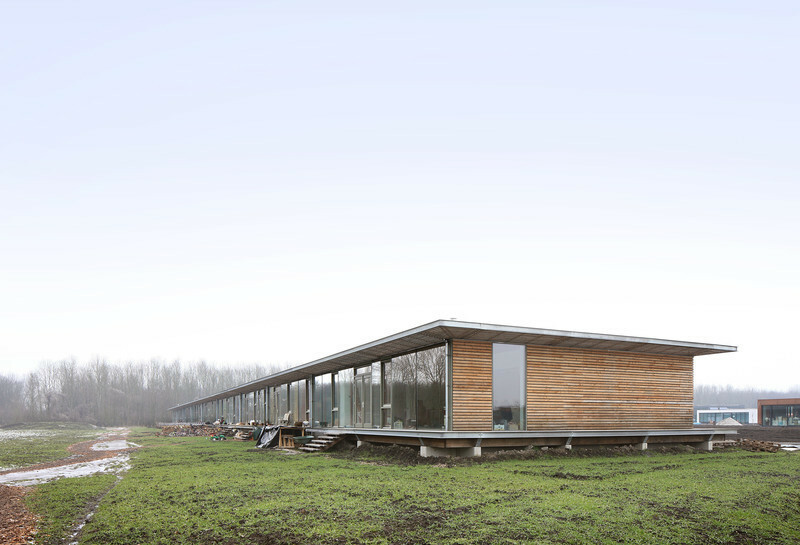 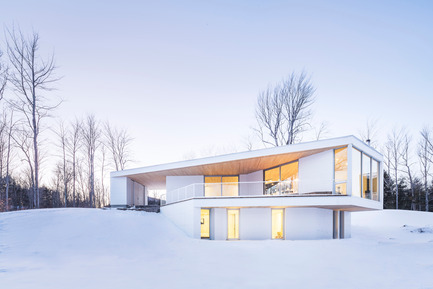 Like an origami, the two volumes are linked by a dynamic bending ribbon that merges the roofs together. 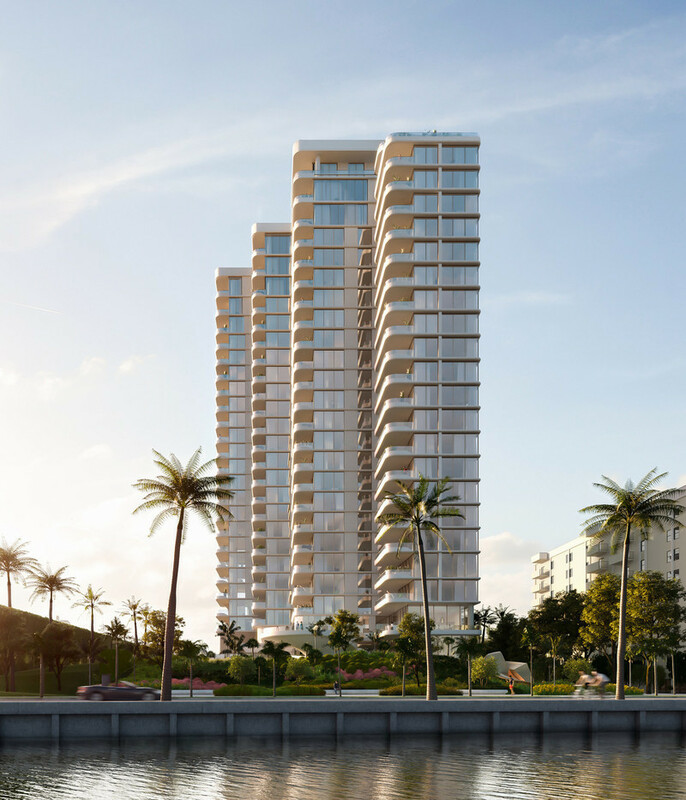 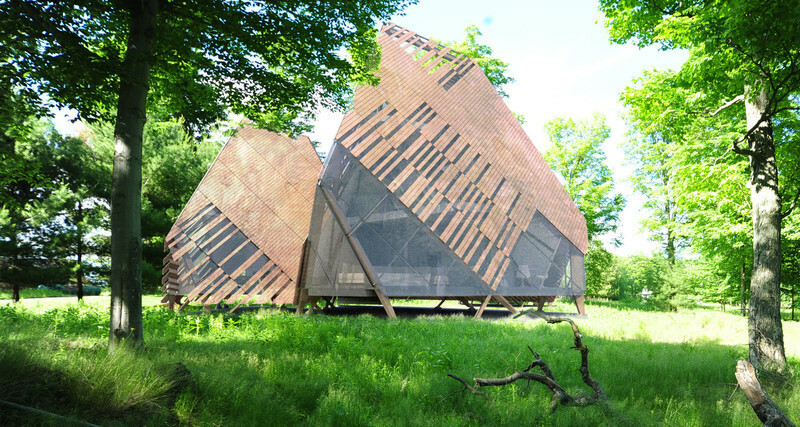 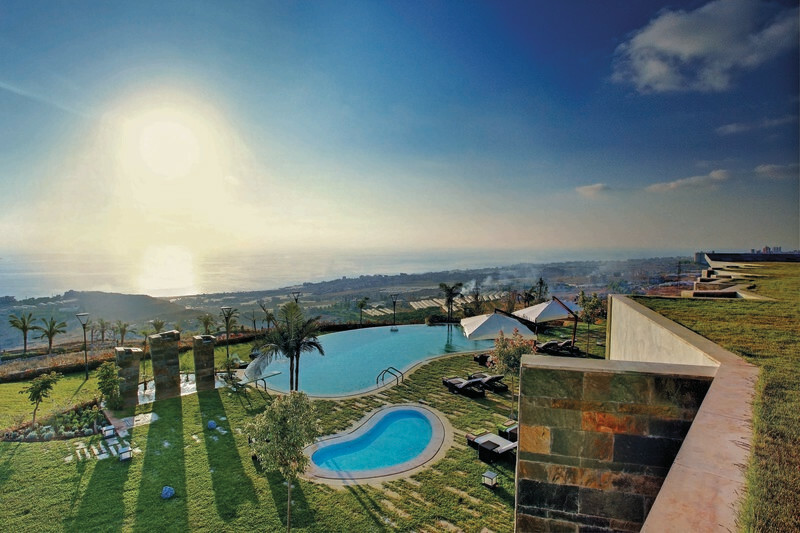 The created projections act as solar shading and protect a huge terrace facing south. 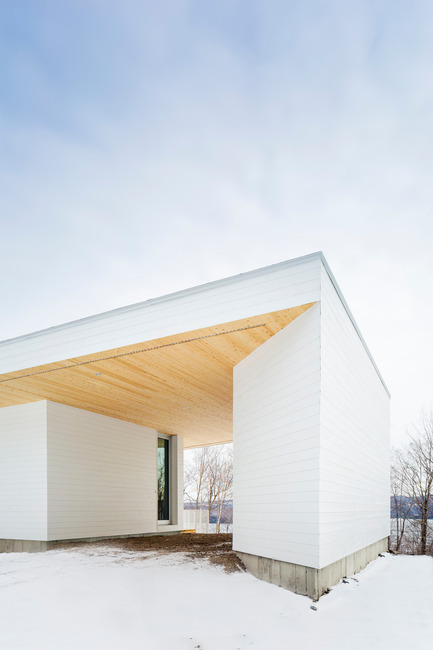 A white painted wood decay uniformly coats all sides and allows a more delicate integration of the building in its environment. 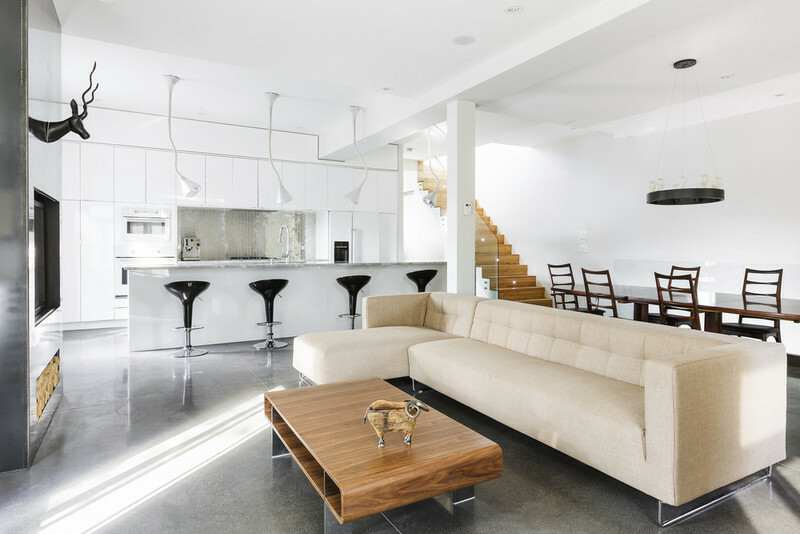 Inside, the sobriety of the materials creates a canvas for a space that is both bright and warm. 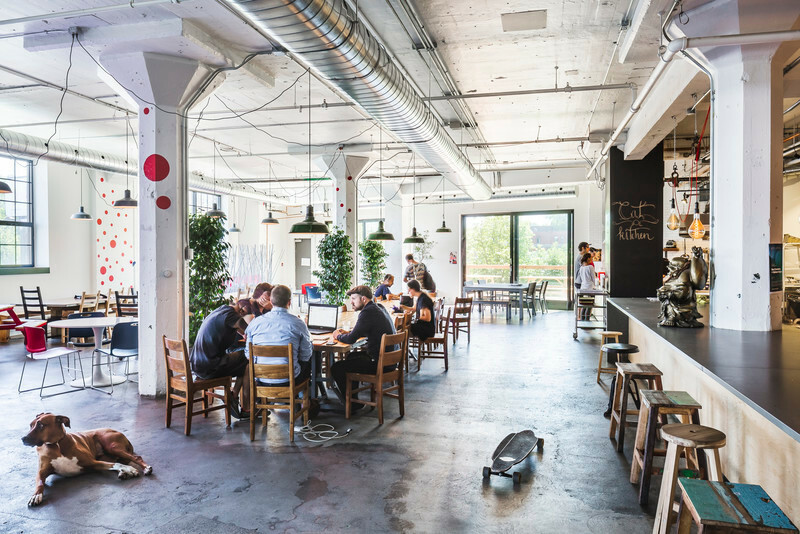 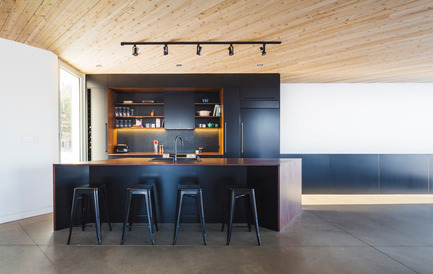 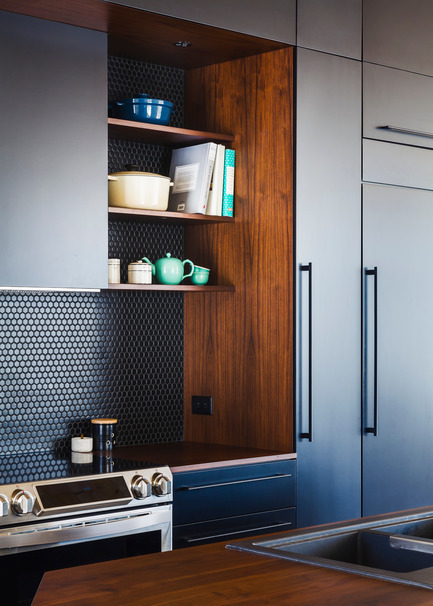 Polished concrete radiant floors, black ceramic tiles and walnut furniture punctuate the space with elegance. 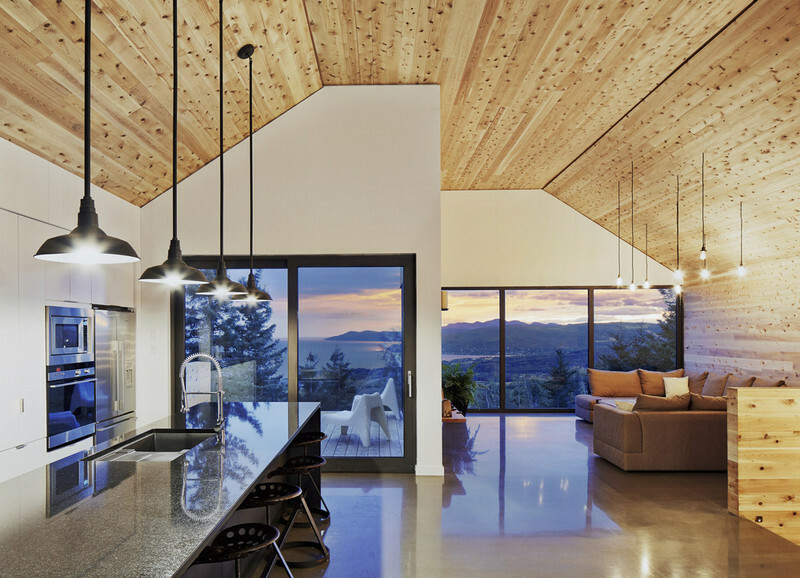 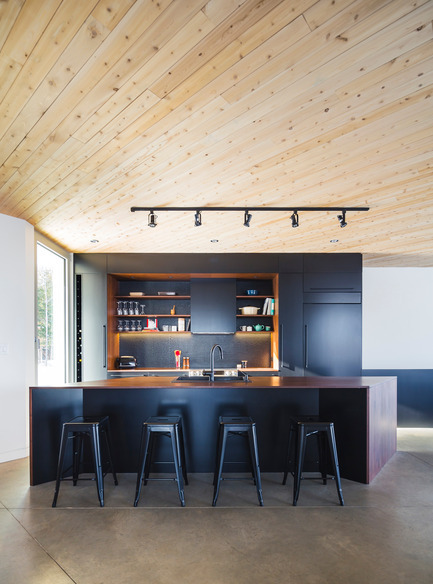 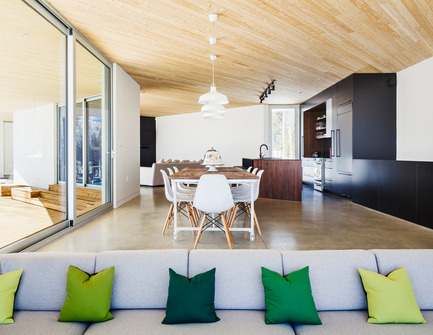 Cedar ceilings extend outside in continuity with the roof soffits outside, stretching sights to the Lake. 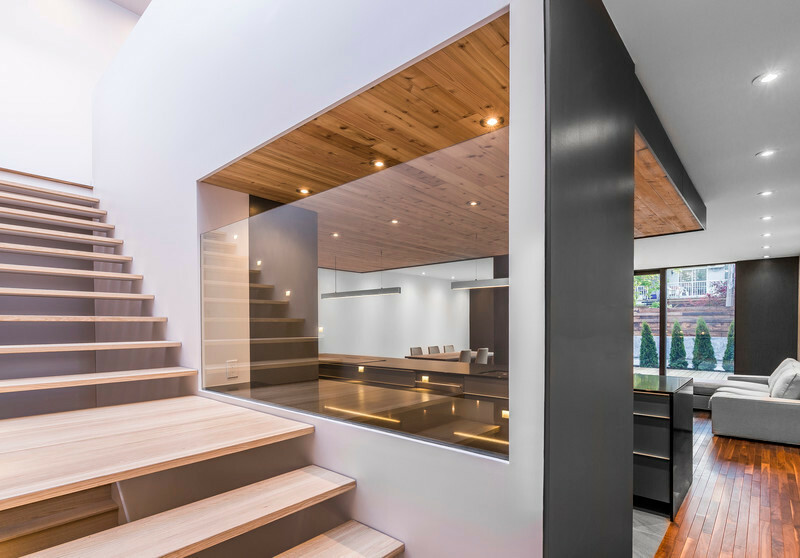 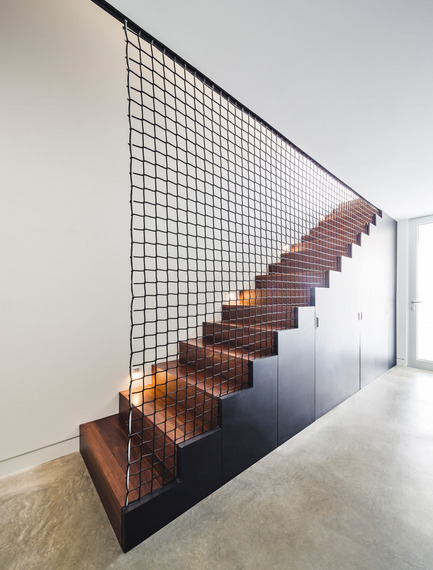 Abundant windows erase the boundaries between inside and outside and a black staircase in the continuity with the upstairs railing leads to the bedrooms on lower level. 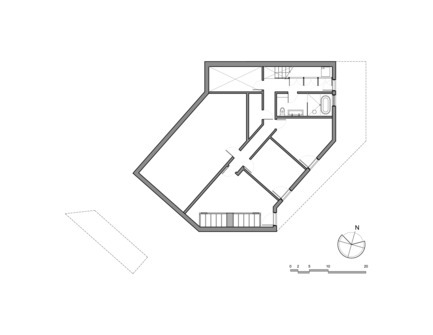 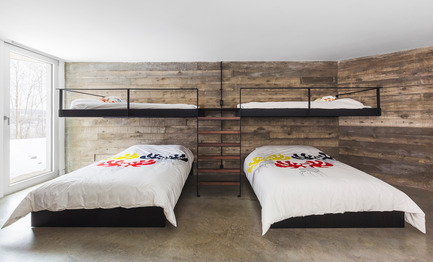 Two large bedrooms, a bathroom and a dormitory with apparent board-formed concrete walls mainly compose the Ground level. 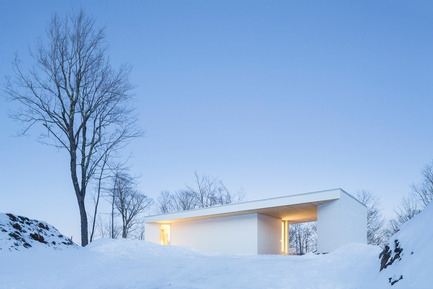 Acting as a landmark through the lush summer, the house changes with the seasons and its whiteness blends into the winter landscape as a tribute to the great Quebec winters.